Employers have a responsibility to warn employees, contractors, temporary employees and visitors about hazards that exist in the workplace. One of the easiest ways to accomplish this is to use and follow established safety sign and marking requirements. 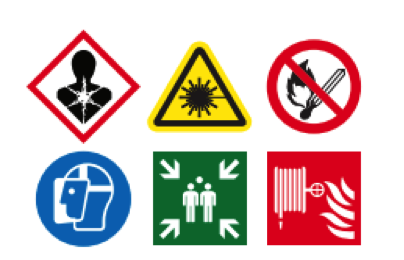 A variety of agencies, associations, and organizations are involved in the standardization of safety signs - the American National Standards Institute (ANSI), International Organization for Standardization (ISO), National Equipment Manufacturers Association (NEMA), National Fire Protection Association (NFPA) and Occupational Safety and Health Administration (OSHA). Each provides their own standards for their specialization and level of authority. OSHA regulates most workplaces and specifications for safety signs, accident prevention signs and safety tags are spelled out in 29 Code of Federal Regulation (CFR) 1910.145. These specifications cover all safety signs except those designed for streets, highways and railroads. These specifications do not apply to plant bulletin boards or to safety posters. 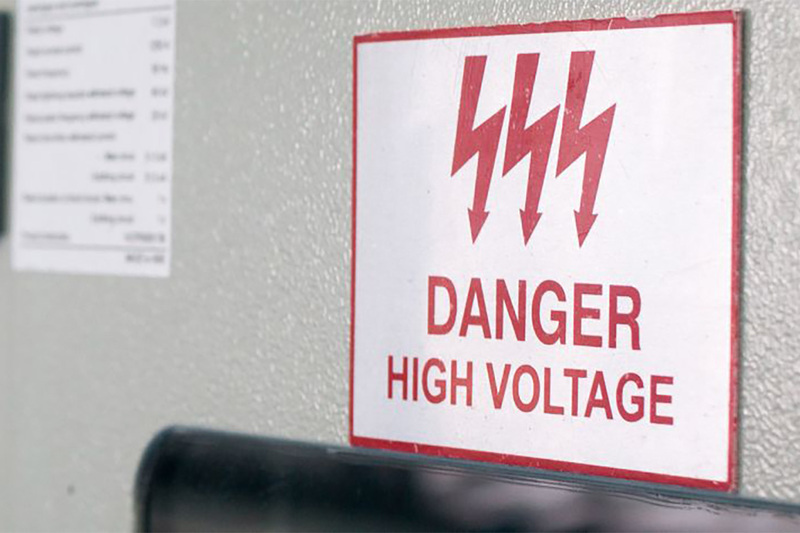 Danger signs — Indicate immediate danger and that special precautions are necessary. 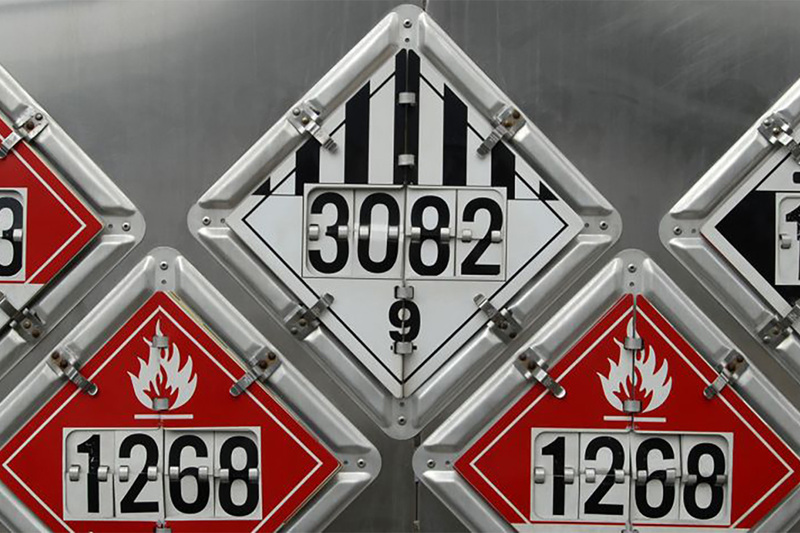 OSHA specifies that red, black and white colors are to be used for danger signs. Caution signs — Warn against potential hazards or caution against unsafe practices. 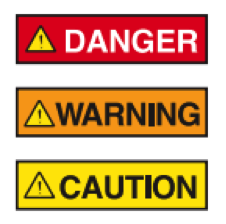 OSHA specifies that caution signs must have a yellow background and black panel with yellow letters. All letters used against the yellow background must be black. Safety instruction signs — Must be used where there is a need for general instructions and suggestions relative to safety measures. 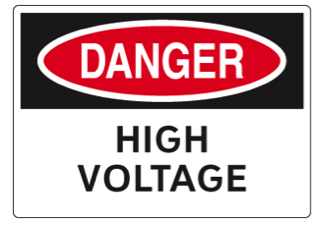 OSHA specifies that safety instruction signs must have a white background, green panel and white letters. Any letters used on the white background must be black. ANSI Z35.1-1968 (Specifications for Accident Prevention Signs) is incorporated by reference into 29 CFR 1910.6(e)(59). ANSI Z53.1-1967 (Safety Color Code for Marking Physical Hazards) is incorporated by reference into 29 CFR 1910.145(d)(2), (4), and (6). Although still referenced both of these standards have become inactive and been replaced by the ANSI and NEMA Z535 series of safety alerting standards. In the fall of 2013, OSHA endorsed the latest best practices related to safety signs by referencing the 2011 ANSI/NEMA Z535 safety sign and tag standards in its regulations (Federal Register Volume 78 Number 215 November 6, 2013). ANSI Z535 was reaffirmed in 2017, with only minor changes to the technical specifications for colors. • Indicates a potential personal injury hazard exists. • It is only used on DANGER, WARNING and CAUTION signs, labels and tags. • Indicates a hazardous situation that, if not avoided, will result in serious injury or death. • Its use should be limited to the most extreme situations. • Indicates a hazardous situation that, if not avoided, could result in serious injury or death. Indicates a hazardous situation that, if not avoided, could result in minor or moderate injury. • Used to provide explanatory information like procedures and instructions. • More definitive words can be used in this signal word panel (e.g., LOCKOUT PROCEDURE). • Graphical symbols used to help bridge language barriers and draw attention to the safety message. • Specific shape, color and design principles are used to meet global compliance objectives. • Carefully crafted text is used to convey the safety message to the intended audience in a clear, concise manner. 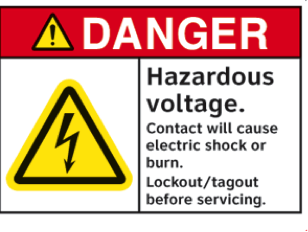 The wording on any safety sign should be concise and easy to read, according to ANSI Z535.2-2011 (R2017), Section 8. The size of the lettering must be of a size that enables a person with normal vision, including corrected vision, to read the safety sign message panel text at a safe viewing distance from the hazard. The signal word letter height should be at least 50% greater than the height of a capital H in the message panel wording. The minimum safe viewing distance refers to the closest distance a person can be to the sign and still have time to follow the safety sign’s message to avoid the hazard. Hazard alerting signs must be placed to alert and inform viewers from a safe viewing distance, according to ANSI Z535.2-2011 (R2017), Sections 11 and 12. They must be legible, and must not be a distraction or create a hazard themselves. They must not be placed on or adjacent to moveable objects like doors, windows, etc. Safety and fire equipment signs must be clearly visible in the immediate vicinity of the equipment. Safety signs must be protected from damage caused by fading and other potential environmental conditions. Signs must be displayed with illumination or retro-reflectiveness as needed for adequate legibility under normal operating conditions. Where illumination is inadequate or colors are not recognizable, supplemental illumination must be used. Where illumination may be interrupted, the sign should be made with photo luminescent and/or retro-reflective materials, and/or equipped with emergency lighting. Red Danger Safety cans and signs. Yellow Caution Tripping, falling and striking hazards. “Flammable, Keep Fire Away” labels on cabinets. Safety cans and containers for explosives, corrosives or unstable materials. Green Safety Location of first aid equipment. Location of safety equipment, respirators, safety showers, etc. Blue Information Signs and bulletin boards. Specific railroad warnings against starting, using or moving equipment being repaired. White or Yellow Boundaries Traffic or housekeeping markings. Stairways, directions and borders. Q: Which requirements should be followed, OSHA or ANSI? A: Where OSHA has specific requirements, they must be followed. In the absence of OSHA requirements, ANSI standards should be followed. Any applicable federal, state or municipal regulations must also be followed. Q: Does OSHA specify what material type should be used for outdoor applications? A: No. OSHA does not specify material types for sign applications. However, sign manufacturers do provide guidance on what material type will work best for your particular application. According to Brady’s sign material reference chart, fiberglass material will offer the longest average outdoor durability of 25 years, self-sticking vinyl signs will have an average 8-10 years, aluminum and self-sticking polyester will offer 5-8 years, and plastic signs will only offer 1-2 years of outdoor durability.